Is It Safe to Wash Dishes or Shower During a Thunderstorm? Hopefully, you know the saying “When thunder roars, go indoors.” If there’s lightning near your location, then you’re not safe outside. But did you know that lightning can affect you inside as well? It’s not entirely safe to shower in a thunderstorm or do other activities like wash dishes or talk on a landline phone. On average, about 30 people in the United States are killed every year from lightning strikes and another 270 people are injured. There are urban legends and old wives tales about lightning strikes happening inside a building, but the thing it, there’s some truth to this story. Even inside, if you’re connected to something that conducts electricity during severe weather, you’re vulnerable to lightning. That means touching something that is plugged into a wall socket or engaging in a simple task like taking a shower or washing dishes. 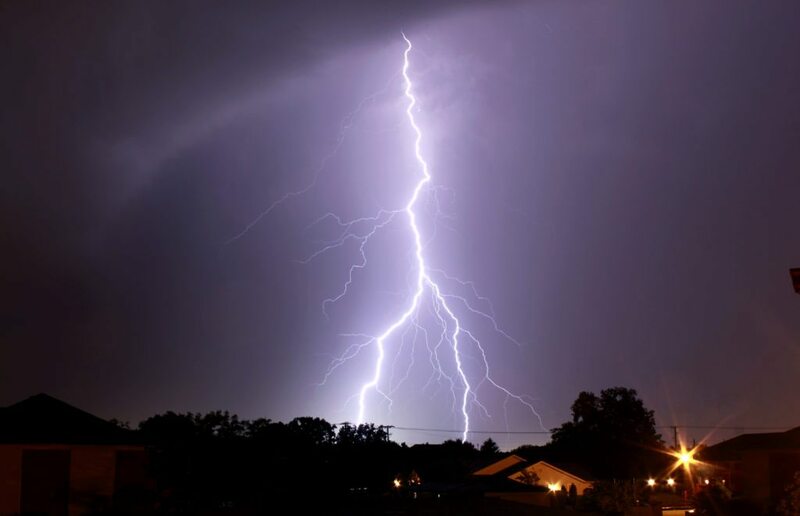 The National Weather Service states that lightning can enter a building in three ways: a direct strike, through the ground, and through anything that conducts electricity that extends outside the building like wires and pipes. 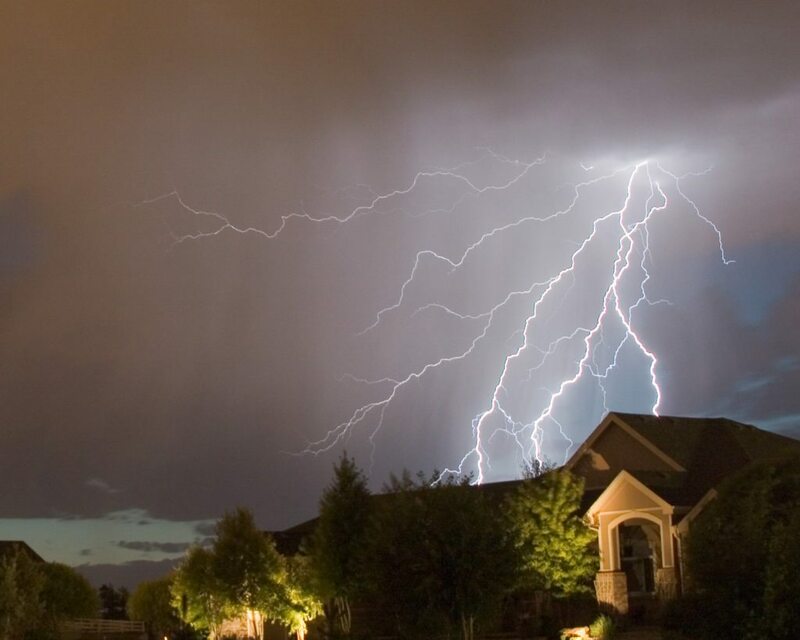 Once lightning has hit a building, it can travel through wires and pipes, so your electrical system, landline phones, plumbing, and radio or television systems can conduct the electricity from lightning. Accuweather talked to John Jensenius, who is a lightning safety specialist for the National Weather Service, about what things people should stay away from inside a building during a lightning storm. You might think that if your plumbing has plastic pipes instead of metal pipes, you’re safe. That’s not true, though. Water itself can conduct electrical current, and some of the impurities that are found in tap water are excellent conductors of electricity as well. It also depends on how your house is grounded, which affects how electricity is conducted through your house. To know for certain, you’ll want to talk with a qualified electrician. Even then, it makes things safer, but not 100 percent lightning proof. Stay off corded phones (cell phones or cordless phones are okay). Don’t touch electrical equipment such as computers or TVs (remote controls are fine). Avoid plumbing; don’t wash your hands or take a shower. Protect your pets: Dog houses are not safe shelters and animals that are chained to trees or on metal runners are particularly vulnerable to lightning strikes. Do not touch electrical cords or unplug items during a thunderstorm.